I'm so in love with all the embellishments in the kits!! So much gorgeousness!! What an amazing page Marinette! 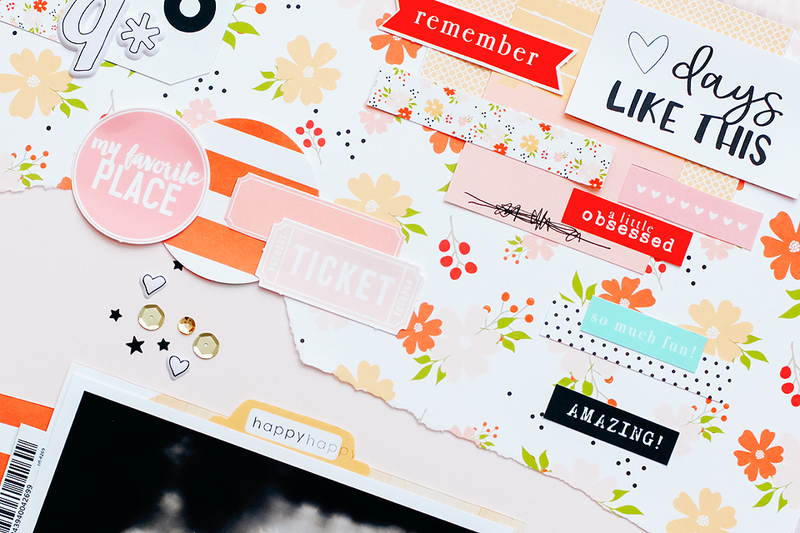 Love the torn paper and love the colors! Also adore all the little strips of paper at the top! !